A shocking new investigation by Reveal and the Center for Investigative Reporting has uncovered evidence that African Americans and Latinos continue to be routinely denied conventional mortgage loans, even at rates far higher than their white counterparts, across the country. According to the piece, the homeownership gap between whites and African Americans is now wider than it was during the Jim Crow era. Reveal based its report on a review of 31 million mortgage records filed with the federal government in 2015 and 2016. 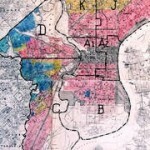 The investigation found the redlining occurring across the country, including in Washington, D.C., Atlanta, Detroit, Philadelphia, St. Louis, and San Antonio, Texas. Since its publication earlier this month, the report has sparked national outrage and, in some states, unusually swift political action. Pennsylvania’s attorney general and state treasurer have both launched investigations into redlining in Philadelphia. As the state of Pennsylvania and the city of Philadelphia begin probes into racist lending practices, Pennsylvania state Senator Vincent Hughes urges constituents to pull their money from banks denying home loans to people of color. This comes after a recent investigation by Reveal found African-American mortgage applicants in Philly are almost three times as likely to be denied a conventional mortgage as white applicants. Janus v. AFSCME: Will Supreme Court Side with Koch Brothers in Their War Against Organized Labor? On Monday, the U.S. Supreme Court heard arguments in a key case that could deal a massive blow to public unions nationwide. The case, Janus v. American Federation of State, County and Municipal Employees, deals with whether workers who benefit from union-negotiated contracts can avoid paying union dues if they opt not to join the union. The lead plaintiff, Mark Janus, is a child support specialist who argues that a state law in Illinois allowing the union to charge a fee for collective bargaining activities violates his First Amendment rights. Numerous right-wing groups have trumpeted his claim in their latest attempt to weaken the political power of public unions. The groups include the Koch brothers’ Americans for Prosperity, the State Policy Network, ALEC—American Legislative Exchange Council—and the Bradley Foundation.